Kathy has been in the travel industry as an agent for over 20 years. 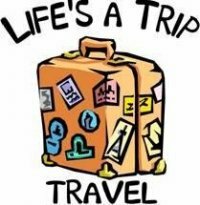 Eight years ago Kathy finally branched out purchasing Life's A Trip Travel, Inc. with her best friend Caryle of over 25 years! The agency is located at 700 S. State Street, Lockport, IL 60441. It has been Kathy & Caryle's dream to have their own family run business offering a personalized travel experience to all of her clients. Kathy specializes in all aspects of travel, as well as offering her own first hand experiences, and expertise on destinations all over the world. Her favorite destination to travel to is South Africa. However she is a Caribbean girl at heart, frequenting as many of the Sandals/Beaches properties as she can with her top 2 favorite being: Sandals Royal Bahamian & Beaches Turks & Caicos! Kathy has also recently earned Sandals Weddingmoon's Specialist Certification. This is a special certification that only a limited number of agents have earned from extensive on-site training. She is very excited to have had the opportunity to have taken part in this training, and is glad to add Destination Wedding & Honeymoon Specialist to her areas of expertise! Caryle has been in the travel industry as an agent for over 9 years now. Eight years ago Caryle branched out purchasing Life's A Trip Travel, Inc. with her best friend Kathy of over 25 years! It has been Caryle & Kathy's dream to have their own family run business offering a personalized travel experience to all of her clients. Caryle specializes in Sandals, Beaches, Grand Pineapple Resorts, as well as Cruising, and Disney Vacations. Caryle also dabbles in all aspects of travel from time to time! Her favorite destination to visit is Hawaii, and loves to stay at the Marriott in Kauai as often as she possibly can! 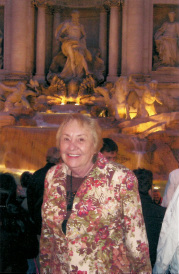 She also enjoys cruising with her grandchildren, and seeing the joy traveling brings them as well! Jennifer joined the Life's A Trip Travel family, when working closely with Kathy to plan her own destination wedding at Sandals Grande Riviera in Ocho Rios, Jamaica just 6 short years ago! Since joining the Life's A Trip Travel Family, Jennifer has earned "Preferred Sandals/Beaches Specialist" for the 4th consecutive year, bringing our agency from "Certified Sandals/Beaches Specialist" to the more coveted preferred status. Jennifer was also awarded "Top Wedding Producer" for Sandals & Beaches Resorts at a recent Rising Star Event hosted at Sandals Regency La Toc Golf Resort & Spa in beautiful Castries, St. Lucia! Jennifer has also been most recently awarded "Chairman's Outstanding Sales Achievement Award" for Sandals & Beaches Resorts at #SandalsGameChanger Unveilings and Silver Weddingmoon 2.0 Specialist- only a hand full of agents in the world currently hold this title! Jennifer is our top Sandals & Beaches Resorts Agent, specializing in Destination Weddings & Honeymoons and group travel! She also serves as Kathy's office manager and handles all the IT & web design for the company! Her favorite destination is Jamaica, she is also a Jamaica Travel Specialist, and sticks with the Jamaica motto of "Once you go, you know'! Contact Jennifer today for your next family vacation, or the personalized Destination Wedding & Honeymoon of your dreams! She can be reached at (815)210-7596, Or Email Jennifer at LifesATripTravelInc@gmail.com. You can also follow Jennifer on Facebook, Instagram, Twitter and LinkedIn! Jennifer offers weekday, evening and weekend appointments to accommodate any busy schedule! Click here to check out Jennifer's Latest blog post and show us some love!! Arlene is Kathy's wonderful cousin! Arlene has been in the travel industry for 8 years now as an agent, joining Kathy when she first opened Life's A Trip Travel. Arlene enjoys being able to work side by side with her family assisting client's with their travel needs, and every last want! Arlene specializes in Sandals, Beaches, Grand Pineapple Resorts, and specifically handles European Cruise Itineraries. She also assists in all aspects of travel, and is a stand in for Kathy while she is away. Her favorite destination is cruising in Europe, which we all feel is very suiting to her! Denise first started out in the travel industry 20 years ago as an agent, took a break for awhile, but missed travel so much that she returned 7 years ago joining the Life's A Trip Travel family! Denise was welcomed with open arms, we are happy to have her, and the many years of expertise she brings to the table! Denise specializes in Sandals, Beaches, Grand Pineapple Resorts, Jamaica, and in Denise's words "Everything that can make your dreams come true"! She also handles all aspects of travel, recently adding Puerto Vallarta as well as the small towns surrounding lovely Mexico to her specialities! Her favorite destination is Jamaica, and she feels that Jamaica is its very own paradise in itself! Courtney met Kathy at the preschool her son and Kathy’s grandson attended. While waiting on the kids they frequently enjoyed talking about their various travels around the world. Seeing that Courtney enjoyed traveling, Kathy invited her to join the Life's A Trip Travel Family! Courtney is versed in all aspects of travel but specializes in European and Caribbean vacations and travels. Courtney has toured many European countries like Holland, Switzerland, Italy and Greece, having been to such places as Amsterdam, Zurich, Rome, Sienna/Tuscany, Bologna, Athens, Nafplio, the Saronic and Cycladic Isles, Corfu, the Peloponnese and many more places. She’s also experienced Caribbean cruises and traveled extensively in Costa Rica and Panama. Courtney speaks four languages, English, Greek, Spanish and Italian. Contact Courtney today for an unforgettable experience in some of the most timeless places the world has to offer. She can be reached at Cell (847)312-4694, or email Courtney at cnpittos.travel@gmail.com. You can also follow Courtney on Facebook. Kathy is a longtime friend of Kathy, and her husband Dave. In fact Kathy with to high school with Dave! Kathy has been in the travel industry as an agent for 20 plus years now, officially joining her longtime friends, and the Life's A Trip Travel Family 3 years ago! Kathy specializes in Sandals, Beaches, Grand Pineapple Resorts, as well as Alaska, and European Cruise Itineraries! Kathy also enjoys dabbling in all aspects of travel from time to time, and assists in the office! Her favorite destination is Europe, she also enjoys cruising through Europe in free time, and offers a wealth of knowledge in personal experience from her travels!